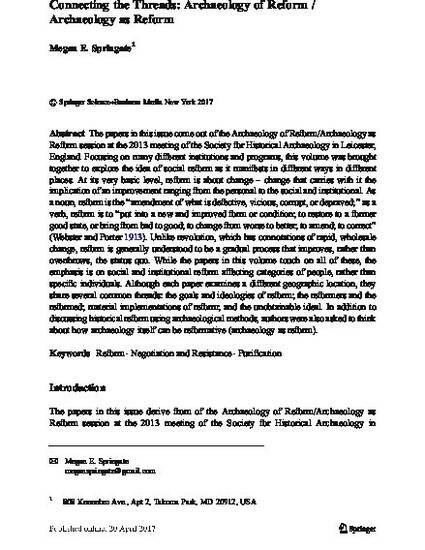 The papers in this issue come out of the Archaeology of Reform/Archaeology as Reform session at the 2013 meeting of the Society for Historical Archaeology in Leicester, England. Focusing on many different institutions and programs, this volume was brought together to explore the idea of social reform as it manifests in different ways in different places. At its very basic level, reform is about change – change that carries with it the implication of an improvement ranging from the personal to the social and institutional. As a noun, reform is the “amendment of what is defective, vicious, corrupt, or depraved;” as a verb, reform is to “put into a new and improved form or condition; to restore to a former good state, or bring from bad to good; to change from worse to better; to amend; to correct” (Webster and Porter 1913). Unlike revolution, which has connotations of rapid, wholesale change, reform is generally understood to be a gradual process that improves, rather than overthrows, the status quo. While the papers in this volume touch on all of these, the emphasis is on social and institutional reform affecting categories of people, rather than specific individuals.  Although each paper examines a different geographic location, they share several common threads: the goals and ideologies of reform; the reformers and the reformed; material implementations of reform; and the unobtainable ideal. In addition to discussing historical reform using archaeological methods, authors were also asked to think about how archaeology itself can be reformative (archaeology as reform).